During the 1950's, 60's and 70's, Warwick Farm International Raceway was one of Australia's premier race tracks. 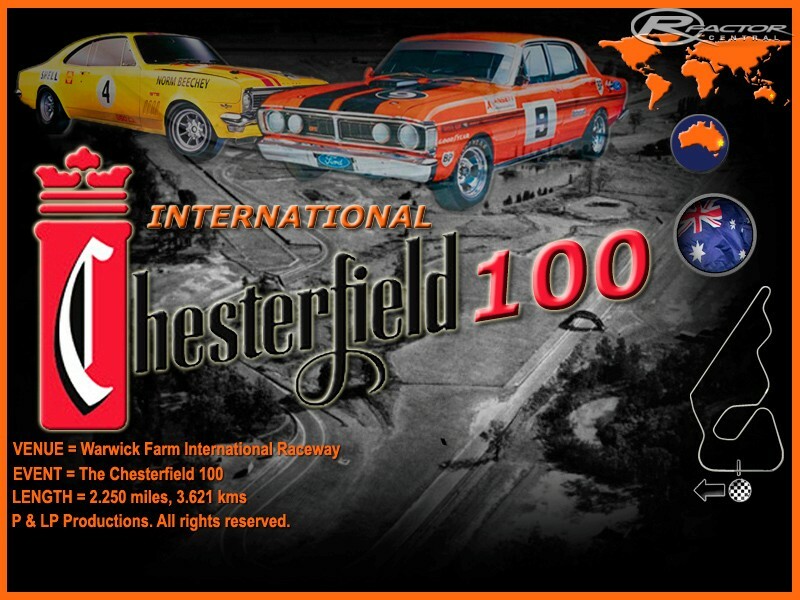 It was the venue for the Chesterfield 100 and Australian formula 1 Grand Prix. 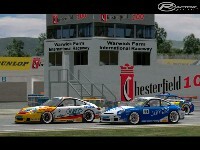 It hosted many rounds of the Australian Touring Car Championship. Warwick Farm saw the likes of Sir Jack Brabham, Deny Hulme, Graham Hill, Jim Clark, jackie Stewart and many more of the world's great driver. The last race held at Warwick farm was a club day with a full grid which saw Peter Brock win. This was in august 1973. With the competition running hot between the other australian track to host races, the demise of Warwick farm came quickly. Warwick farm incorporated a world class horse racing track and it's owners( AJC) decided to put their money into the horse racing community rather than motorsport. This is my first attempt at track building and I have build this track from scratch. 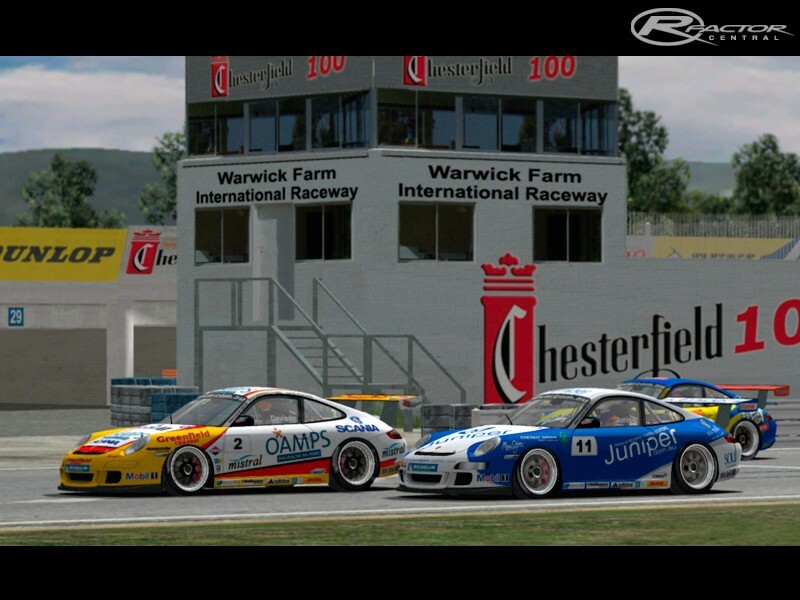 After watching many videos and reading countless articles it seemed to me that to recreating the original track may not serve the rfactor community correctly. The original track had very small pits and could only house a few vehicles at one time. I have used a bit of "creative Licence" and made a few modifications to its annexures. I have been careful to retain the original "feel" of the track and have enjoyed the many hours driving this historical track during testing. The AIW file will be revised along with the cam file in the near future. This is an update to version 1.0. It contains fixes for DX7 users, some modifications to the scn file to improve frame rate. There is a new AIW file to make the AI's behave better and a completely new cam file. I hope this will rectify all the problems and questions people have asked. There are currently no setups for Warwick Farm. Add a Setup. juice, what i have found with a few downloads on here is that you need to get rid of one level of folder. when you install it don't put the folder with "warickfarm raceway v2.0" in your game data/locations. d/click on it and copy the folder "warickfarm raceway" into your game data/locations then delete the "warickfarm raceway v2.0 folder from your gamedata/locations folder if you have it in there. see how ya go. 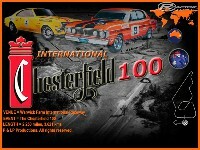 I get a trouble loading chesterfeild100.mas file tried deleting and reinstall please help?? 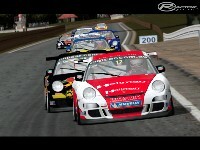 Ok, here is a link to download Warwick Farm International Vers 2 with the race groove fix. Before installing it, I would suggest you remove any exsisting warwick farm folders from your location folder, that way there will be no confussion. Just unzip WarwickFarmInternational.rar into your location folder. mind you, that groove-fix AIW has an earlier date than the AIW in V2.0 of Warwick..........so is it an update, or is it included in 2.0? I just downloaded V2 and same thing?